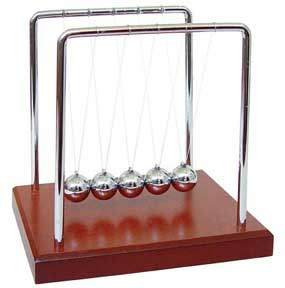 The Wood Grain Newton's Cradle is definitely a one-of-a-kind stress reliever! Scientific yet entertaining. An eye-catching accent for your work table. So relieve the stress and shift your attention to this calming Wood Grain Newton's Cradle. That was easy!